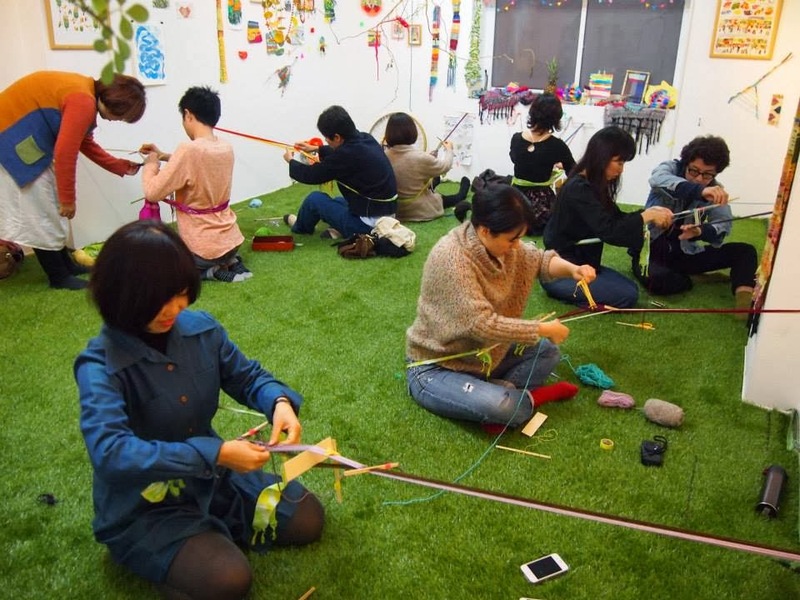 The pictures with the green floor are from the series of backstrap weaving workshops I ran with artist Ai Nishimoto, in Osaka, Japan November 2013. 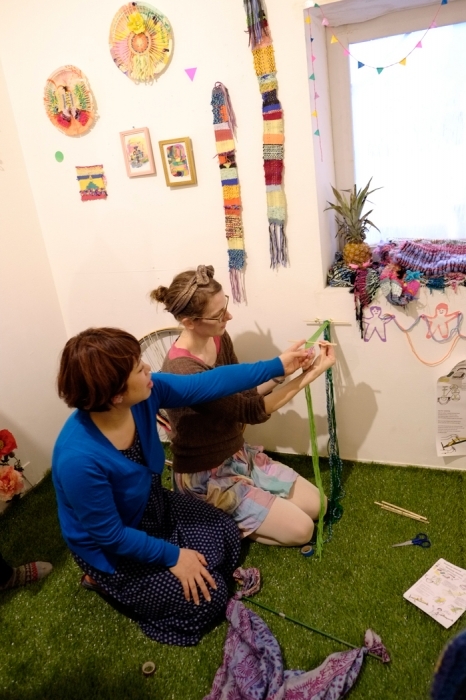 The workshops were part of our group show ‘Color Jangle’. 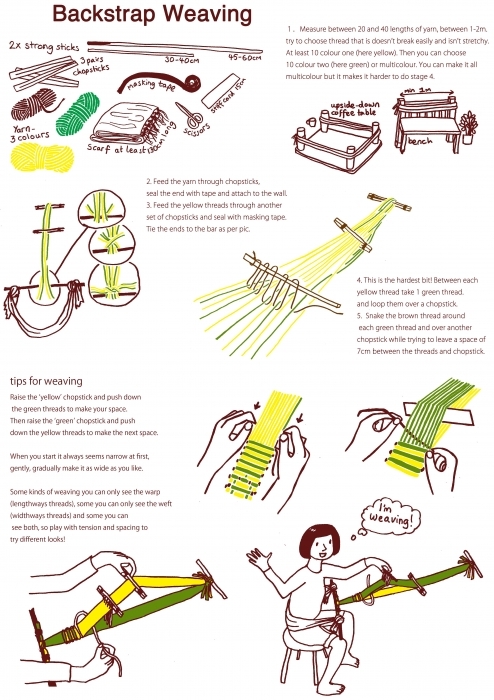 The backstrap weaving method is based on global traditional methods and uses very cheap and easily available materials. The workshop lasts 3 hours and teaches the entire process of measuring the warp (lengthways threads), setting up the backstrap weaving process, troubleshooting, and different weaving methods. 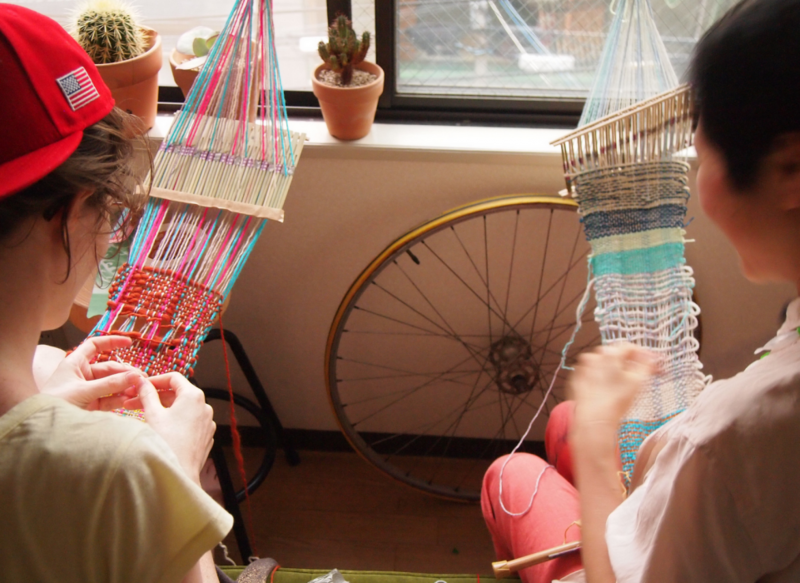 The image below is from a backstrap weaving workshop where we made fixed heddles out of bamboo skewers and tape. 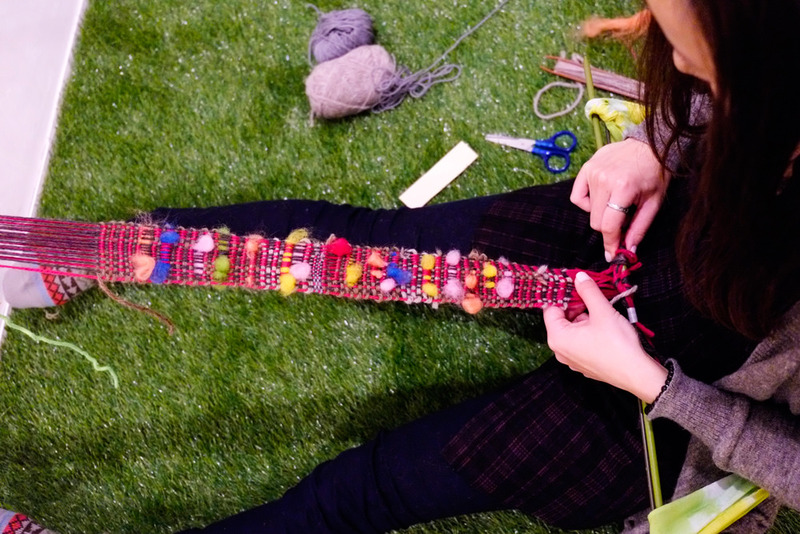 Some of the bits of weaving that came out of the session. Also shows the basic heddles we used.